Shin C. Beh, M.D., is an Assistant Professor in the Department of Neurology and Neurotherapeutics at UT Southwestern Medical Center. 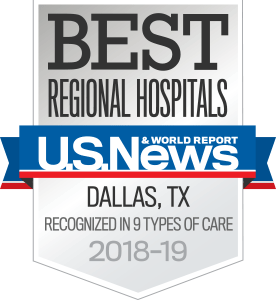 A neurologist, Dr. Beh is the founding Director of UT Southwestern’s Vestibular Neurology and Neuro-Visual Disorders Clinic and serves on the faculty of the Multiple Sclerosis and Neuroimmunology Clinic. Dr. Beh's research interests include vestibular migraine, and various other neuro-otologic disorders. He has published a number of scholarly articles and book chapters and presented nearly 40 abstracts and invited lectures related to his specialty. 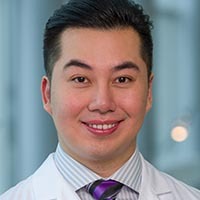 Dr. Beh serves as a reviewer for journals that include JAMA Neurology; Journal of Neurology, Neurosurgery & Psychiatry; Therapeutic Advances in Neurological Disorders; The Neurologist; and Neurodegenerative Disease Management. Certified by the American Board of Psychiatry and Neurology, he joined the UT Southwestern faculty in 2014. Dr. Beh earned his medical degree at Universiti Malaysia Sarawak. He completed his training in internal medicine, residency in neurology, and fellowship in multiple sclerosis at UT Southwestern. He also performed fellowships in neuro-immunology and neuro-otology at Johns Hopkins Medicine and in neuro-ophthalmology at New York University Medical Center. He is a member of professional organizations that include the American Academy of Neurology, and North American Neuro-Ophthalmology Society. Shin Beh, M.D., is one of few U.S. neurologists who specializes in evaluating and nonsurgically treating vestibular disorders – including vertigo, dizziness, and problems with balance – and visual disorders arising from brain abnormalities. The founding Director of UT Southwestern Medical Center’s Vestibular Neurology and Neuro-Visual Disorders Clinic, Dr. Beh sees many people who have nearly lost hope of having their problems correctly diagnosed and treated. Dr. Beh often is able to get to the root of patients’ problems by performing a thorough physical exam, taking a detailed medical history, and conducting specialized neurologic testing. In some cases, brain imaging and additional blood tests are needed. Treatment for these conditions depends on their underlying causes, which can range from relatively harmless conditions to more serious diseases like strokes or brain tumors. When appropriate, Dr. Beh refers patients to other UT Southwestern specialists for further evaluation. In patients whose vestibular disorders turn out to be related to the inner ear, not the brain, Dr. Beh partners with neuro-otologists Brandon Isaacson, M.D., and Joe Kutz, M.D. – and vestibular therapist Patricia Blau, Ph.D., who specializes in vestibular rehabilitation therapy – to deliver comprehensive care for their dizziness. He works closely with neuro-ophthalmologists Deborah Friedman, M.D., and Nick Hogan, M.D., Ph.D., as well, to treat migraine-related dizziness and neuro-ophthalmic disorders. Dr. Beh attributes his philosophy of care to the example of his mentor, Elliot Frohman, M.D., Ph.D.
Multifocal visual evoked potentials are influenced by variable contrast stimulation in MS.
Retinal architecture and mfERG: Optic nerve head component response characteristics in MS.
Ocular motor measures of cognitive dysfunction in multiple sclerosis II: working memory. Hiding in plain sight: a closer look at posterior cortical atrophy. Optic nerve head component responses of the multifocal electroretinogram in MS.
WEBINO and the return of the King's Speech. Ataxia and weakness in a young woman. Ocular motor signatures of cognitive dysfunction in multiple sclerosis. Review of Eye Movement Disorders in Clinical Practice. Aquatic training in MS: neurotherapeutic impact upon quality of life. Ocular motor measures of cognitive dysfunction in multiple sclerosis I: inhibitory control. Damping of monocular pendular nystagmus with vibration in a patient with multiple sclerosis. Neuro-ophthalmic manifestations of cerebellar disease. An update on neuro-ophthalmology of multiple sclerosis: the visual system as a model to study multiple sclerosis. Isolated mammillary body involvement on MRI in Wernicke's encephalopathy. Objective characterization of the relative afferent pupillary defect in MS.
Clinical reasoning: A 41-year-old comatose man with absent brainstem reflexes. A Case of Vestibular Migraine Resolving on Warfarin and Topiramate. Clinical characteristics of Alice in Wonderland syndrome in a cohort with vestibular migraine. Cerebellar Control of Eye Movements. The menagerie of neurology: Animal signs and the refinement of clinical acumen. Horizontal Direction-Changing Positional Nystagmus and Vertigo: A Case of Vestibular Migraine Masquerading as Horizontal Canal BPPV. Retinal Architecture and Melanopsin-Mediated Pupillary Response Characteristics: A Putative Pathophysiologic Signature for the Retino-Hypothalamic Tract in Multiple Sclerosis. Extended interval dosing of natalizumab in multiple sclerosis. Neurotherapeutic Strategies for Multiple Sclerosis. Characteristics of morphologic macular abnormalities in neuroimmunology practice. Temporal evolution of the trident and piglet signs of osmotic demyelination syndrome. Q&A by Shin Beh, M.D.